Is Darden Restaurants, Inc. (NYSE:DRI) a good bet right now? We like to analyze hedge fund sentiment before doing days of in-depth research. We do so because hedge funds and other elite investors have numerous Ivy League graduates, expert network advisers, and supply chain tipsters working or consulting for them. There is not a shortage of news stories covering failed hedge fund investments and it is a fact that hedge funds’ picks don’t beat the market 100% of the time, but their consensus picks have historically done very well and have outperformed the market after adjusting for risk. Darden Restaurants, Inc. (NYSE:DRI) investors should be aware of an increase in activity from the world’s largest hedge funds lately. 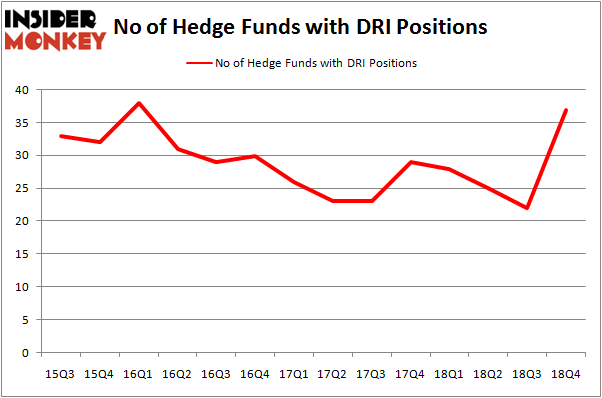 Our calculations also showed that DRI isn’t among the 30 most popular stocks among hedge funds. We’re going to take a look at the key hedge fund action regarding Darden Restaurants, Inc. (NYSE:DRI). 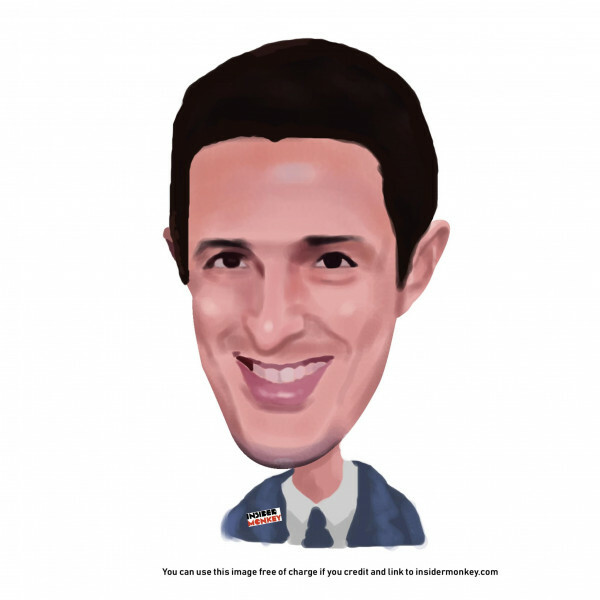 How have hedgies been trading Darden Restaurants, Inc. (NYSE:DRI)? At the end of the fourth quarter, a total of 37 of the hedge funds tracked by Insider Monkey were long this stock, a change of 68% from the previous quarter. On the other hand, there were a total of 28 hedge funds with a bullish position in DRI a year ago. So, let’s examine which hedge funds were among the top holders of the stock and which hedge funds were making big moves. Among these funds, AQR Capital Management held the most valuable stake in Darden Restaurants, Inc. (NYSE:DRI), which was worth $419.7 million at the end of the third quarter. On the second spot was Point72 Asset Management which amassed $109 million worth of shares. Moreover, Arrowstreet Capital, Two Sigma Advisors, and Renaissance Technologies were also bullish on Darden Restaurants, Inc. (NYSE:DRI), allocating a large percentage of their portfolios to this stock. Consequently, some big names were leading the bulls’ herd. Point72 Asset Management, managed by Steve Cohen, created the biggest position in Darden Restaurants, Inc. (NYSE:DRI). Point72 Asset Management had $109 million invested in the company at the end of the quarter. Gabriel Plotkin’s Melvin Capital Management also initiated a $82.4 million position during the quarter. The other funds with brand new DRI positions are Ray Dalio’s Bridgewater Associates, Leon Shaulov’s Maplelane Capital, and Alexander Mitchell’s Scopus Asset Management. Let’s also examine hedge fund activity in other stocks similar to Darden Restaurants, Inc. (NYSE:DRI). We will take a look at Alexandria Real Estate Equities Inc (NYSE:ARE), Nomura Holdings, Inc. (NYSE:NMR), Host Hotels and Resorts Inc (NYSE:HST), and PG&E Corporation (NYSE:PCG). This group of stocks’ market valuations match DRI’s market valuation. As you can see these stocks had an average of 26.75 hedge funds with bullish positions and the average amount invested in these stocks was $770 million. That figure was $1175 million in DRI’s case. PG&E Corporation (NYSE:PCG) is the most popular stock in this table. On the other hand Nomura Holdings, Inc. (NYSE:NMR) is the least popular one with only 5 bullish hedge fund positions. Darden Restaurants, Inc. (NYSE:DRI) is not the most popular stock in this group but hedge fund interest is still above average. This is a slightly positive signal but we’d rather spend our time researching stocks that hedge funds are piling on. Our calculations showed that top 15 most popular stocks among hedge funds returned 19.7% through March 15th and outperformed the S&P 500 ETF (SPY) by 6.6 percentage points. Unfortunately DRI wasn’t in this group. Hedge funds that bet on DRI were disappointed as the stock returned 11.6% and underperformed the market. If you are interested in investing in large cap stocks, you should check out the top 15 hedge fund stocks as 13 of these outperformed the market.